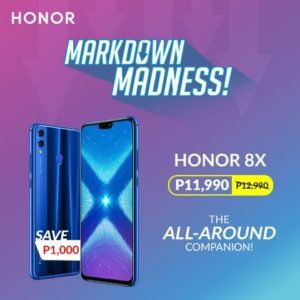 Honor slashes off up to P2,000 on their smartphones for the March Markdown Madness. 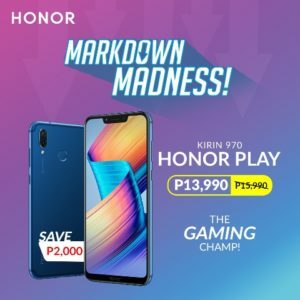 Included in the markdown are the Honor 10 Lite, Honor 8X, Honor Play, and Honor 7S. 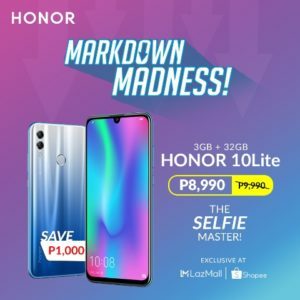 The 10 Lite, 8X, and Play discounts will begin March 16, 2019, while the 7S markdown starts March 25. 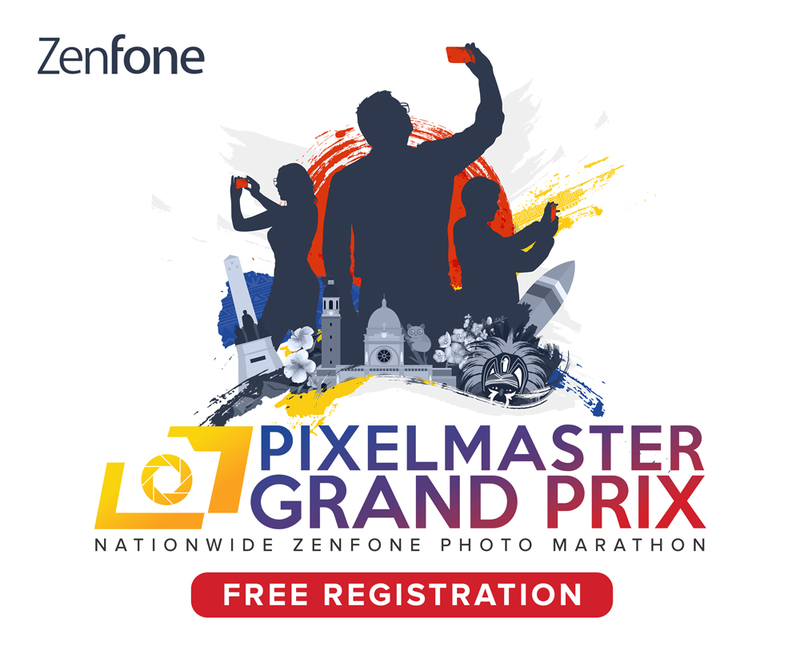 All phones can be purchased in HONOR authorized Brand Shops and Kiosks, as well as online on official Lazada and Shopee stores. The 10 Lite comes equipped with a 24MP AI front camera, housed in the dewdrop notch of its 6.21-inch FHD display. The 10 Lite is available in Midnight Black and Sky Blue glass-like back finish. The 64GB version of the 10 Lite is now down to P9,990 from its original SRP of P10,990. Meanwhile, its 32GB version with an SRP of P9,990 is now only P8,990. 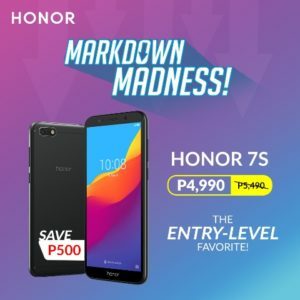 This device is exclusively available online through Honor’s official stores on Shopee and Lazada. The 8X features a large 6.5-inch FullView Display, and comes powered by 3750mAh battery. The 8X boasts the latest Kirin chipset that supports high-definition video playback and 3D gaming. On its best deal yet, the 8X is now priced at P11,990 from its original SRP of P12,990. Launched last August 2018, the Play brings immersive gaming experience with its GPU Turbo upgrade and powerful Kirin 970 flagship chipset. This phone also sports a 3750mAh battery. From its original SRP of P15,990, the device is now only P13,990. Equipped 18:9 widescreen HD display with 1440 x 720 resolution for better viewing, LED selfie lighting, and data storage expandable up to 256GB, the 7S is definitely a steal for only P4,990 from its original SRP of P5,490.